True to its mandate, the Geneva Centre for the Democratic Control of Armed Forces (DCAF) focused its initial activities immediately after its creation on South Eastern Europe and the Former Soviet Union. In its short existence, DCAF has supported and initiated over a hundred seminars, publications and international cooperation projects. After being heavily engaged in strategically advising then President of the Federal Republic of Yugoslavia Kostunica on security sector reform during the transition period after Milosevic’s fall, DCAF offered to set up an International Security Advisory Board (ISAB) for South East Europe (SEE), actively supports both the Demobilization and Retraining effort in Bosnia and Herzegovina and Border Management Reform in Albania, Bosnia and Herzegovina, Croatia, Macedonia, and Serbia & Montenegro. 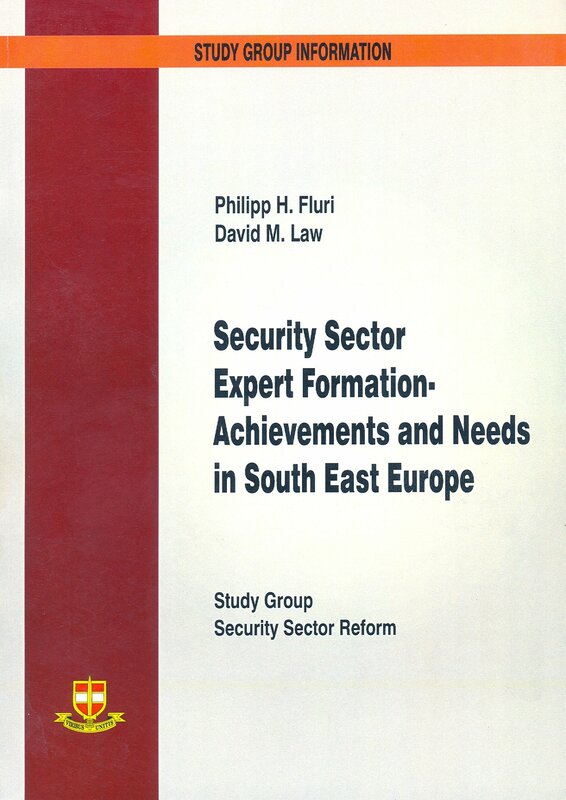 With studies such as this one, DCAF substantively supports the Stability Pact for South East Europe and the SEEGROUP. In the field of Parliamentary Oversight and Reform of the Security Sector, DCAF will make the Handbook on Parliamentary Oversight (jointly edited with the Inter-Parliamentary Union and published 2003) available in Albanian, Macedonian and Serbian. This handbook, together with other materials of foundational character prepared by DCAF, will be used in DCAF-organised seminars for parliamentarians and committee staffers. This present study is the result of the close cooperation between DCAF and the Partnership for Peace Consortium Working Group on Security Sector Reform. The research programme was conceptually prepared by experts from the region within the Partnership for Peace Consortium Working Group on Security Sector Reform. The Working Group meetings were repeatedly made available for discussion of the progress made. The present book aptly reflects the excellent possibilities and opportunities the Consortium provides for comparative and crosscountry studies. The Consortium provides for just this kind of meeting of like-minded experts and comprehensive area studies. It is unique in this respect, and deserves our attention and support.